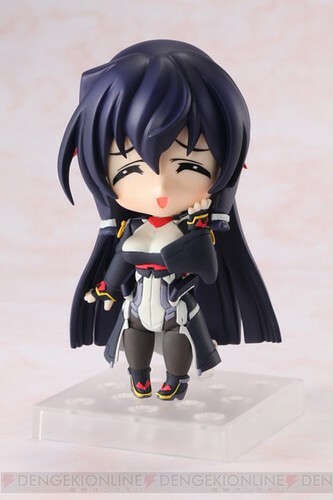 We have already scooped the initial news about Nendoroid Asama Tomo: Suit version that will be bundled with the limited edition of upcoming PSP game Kyokai Senjou no Horizon Portable about two months ago. Fast-forward to today and we have Dengeki already got their hands to a few photos showing production sample of the Nendoroid. How does she look? The 2nd expression: laughing / in delusion? She will bring along three expressions, a bow and an arrow as well as a few optional body parts to recreate the pose when she aims for her opponents. 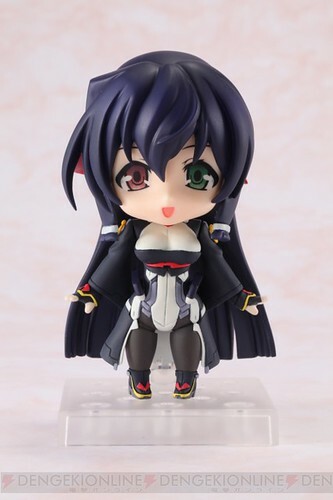 This entry was posted in News and tagged asama tomo, kyoukai senjou no horizon, nendoroid. 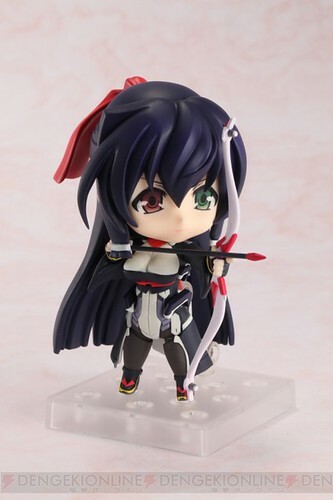 She does look odd, her face, her body…this nendoroid will probably show up in a nightmare of mine eventually…but what’s with the recent trend with big breasted girls wielding bows & arrows?